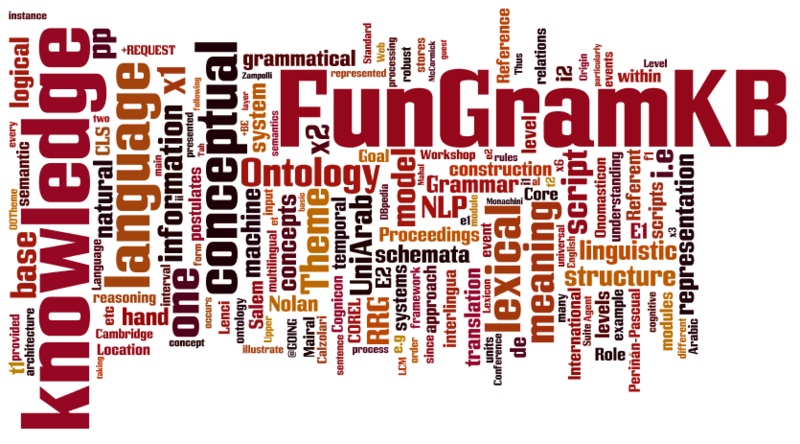 FunGramKB Suite is a user-friendly environment for the semiautomatic construction of FunGramKB, a multipurpose lexico-conceptual knowledge base for natural language processing (NLP) systems. FunGramKB is multipurpose in the sense that it is both multifunctional and multilingual. In other words, FunGramKB can be reused in various NLP tasks (e.g. information retrieval and extraction, machine translation, dialogue-based systems, etc) and with several natural languages.